Display events from Google or other calendars in Genbook. 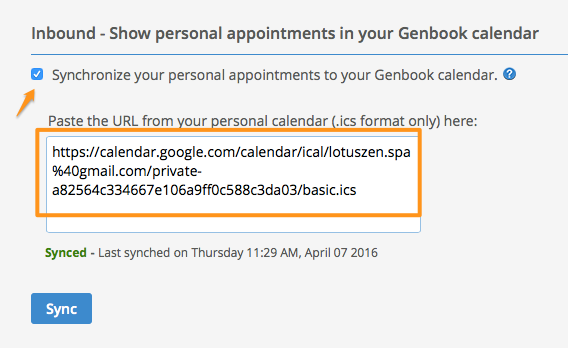 You can subscribe to a personal calendar (like Google) in Genbook. This allows you to keep track of non-business related events in Genbook, so you avoid double-booking yourself. On your Staff page, click the Calendar Syncing tab. At the bottom of the page that follows, you'll see an "Inbound" option. Check the box beside "Synchronize your personal appointments...", then paste the URL (ending in ".ics") from your Google, or other Web calendar that can be shared/subscribed-to. When you're done, click the "Sync" button. 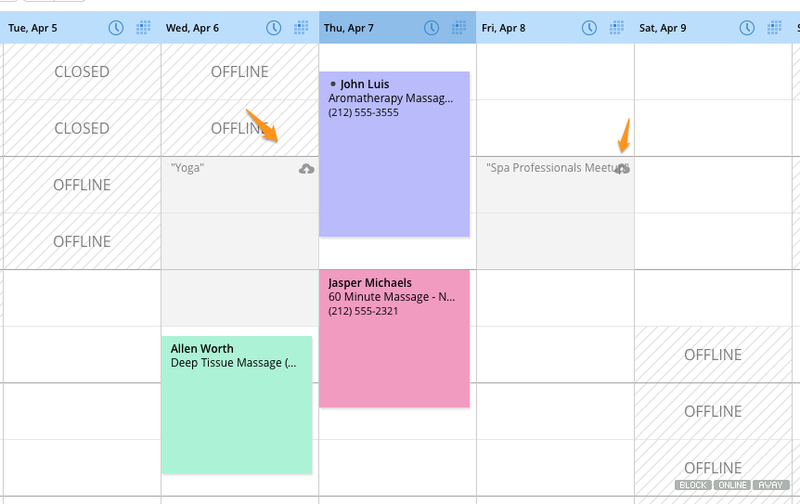 Appointments and events from your external calendar will appear slightly greyed out in Genbook. There will be a "downloaded from cloud" icon at the top right. 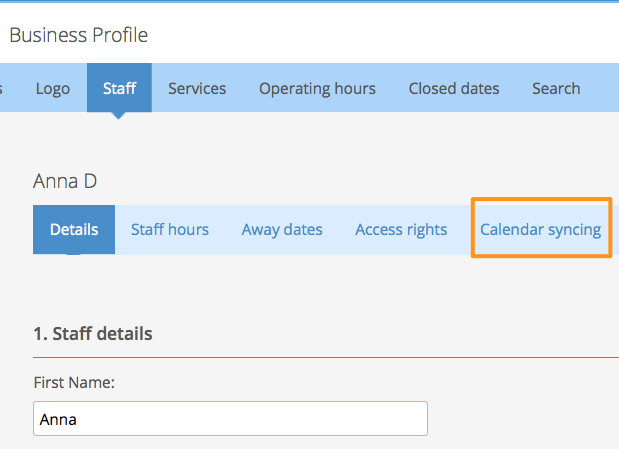 You can add Offline (manual) appointments on top of any external events in Genbook. However, your clients won't see those time slots as available when they visit your scheduling page, so they won't be able to book you at a time when you have an inbound sync event in your Genbook Calendar.